Once in a while, something super special decides to up sticks and head to Norfolk. And boy, are we glad the amazing Flamingo Amy made such a decision in 2003 after completing her degree in Fine Art in our very own NUCA (or Norwich School of the Arts as it was known back then). 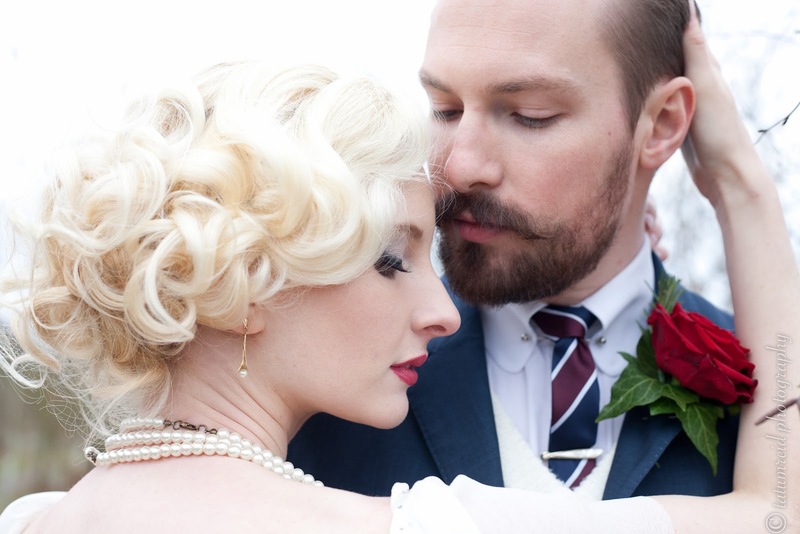 Now firmly established as one of the UK's leading vintage hairstylists, Amy offers unique and beautiful bridal hair styling inspired by bygone eras - everything from 20s finger waves, to 60s beehives, to 40s victory rolls - and all exquisitely done with a unrivalled attention to detail. ﻿﻿Originally from Southend-on-Sea, Essex, inspiration struck Amy at a Rock'n'Roll weekender in 2008 (where she met her husband incidentally!) when she was asked to style a friends hair - and after agreeing to give it a go - and with a rather succesful outcome, she had her lightening bolt moment and realised her true calling. 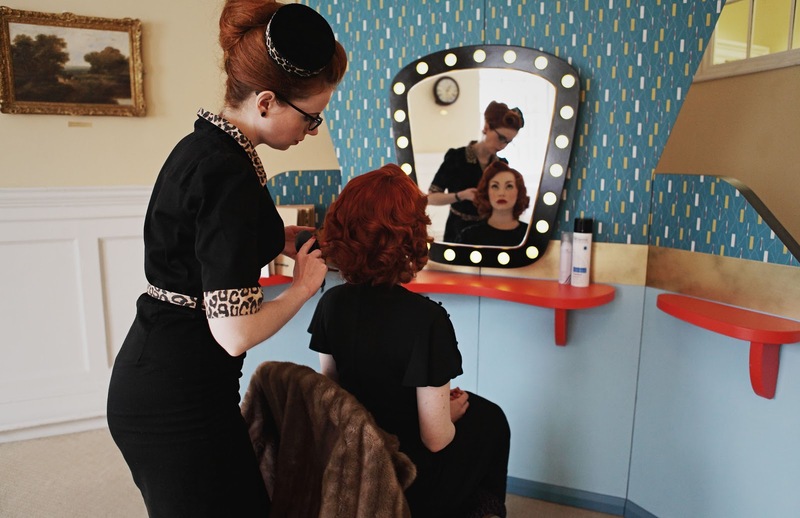 Then followed the opportunity to train at Nina's Hair Parlour which is a salon dedicated to Vintage style in London, and from there she joined uber cool salon Flint which is on Bridewell Alley in Norwich , where she works both in salon and on a freelance basis. Amy will be at the Norwich Most Curious Fair with her amazing pop up salon (as seen in the photo at the top - crazy cool huh?!) 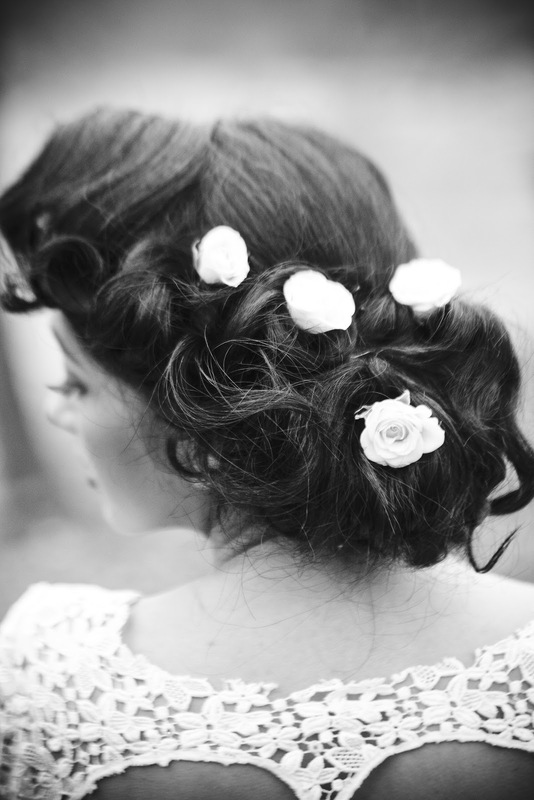 and is looking forward to meeting lots of brides to be - PLUS she'll be offering mini trials to the first three brides to be that come to see her at the pop up salon. We'll finish with a pic of Amy's amazing Whirling Turban Wedding dress from her wedding day in 2009 - and you know how we LOVE a birdcage veil!